A couple of years ago I made giant candy corn tissue pom poms as table centerpieces for a church Fall festival. Because everything is cuter in miniature, I am thinking that this mini candy corn pom pom garland needs to find a way to make an appearance this Halloween. Now if only I could talk my Halloween birthday girl out of her rainbow birthday party! 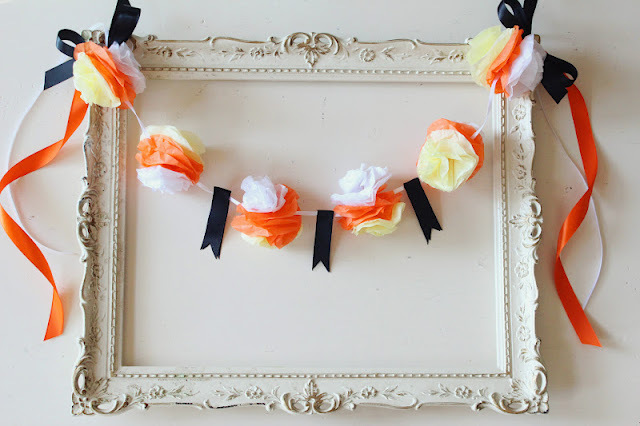 You can check out how to make a mini DIY tissue candy corn garland over at Icing Designs.